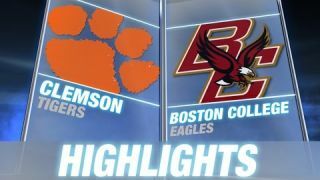 With Clemson star Deshaun Watson out with a hand injury, backup Cole Stoudt led the Tigers to an exciting 17-13 win over Boston College on the road. Stoudt finished the day throwing for 285 yards. Clemson running back C.J. Davidson scored the eventual game-winning touchdown with 9:35 left in the 4th quarter. The Tigers improve to 5-2 while BC moves to 4-3.